"Mid-weight twill in a lovely design: perfect as a variation from your selection of plain colours. You know, for those days when you’re feeling particularly inspired. They go with the same pieces your good old (or new) twill shirts do, so don’t worry about building a coordinating attire." 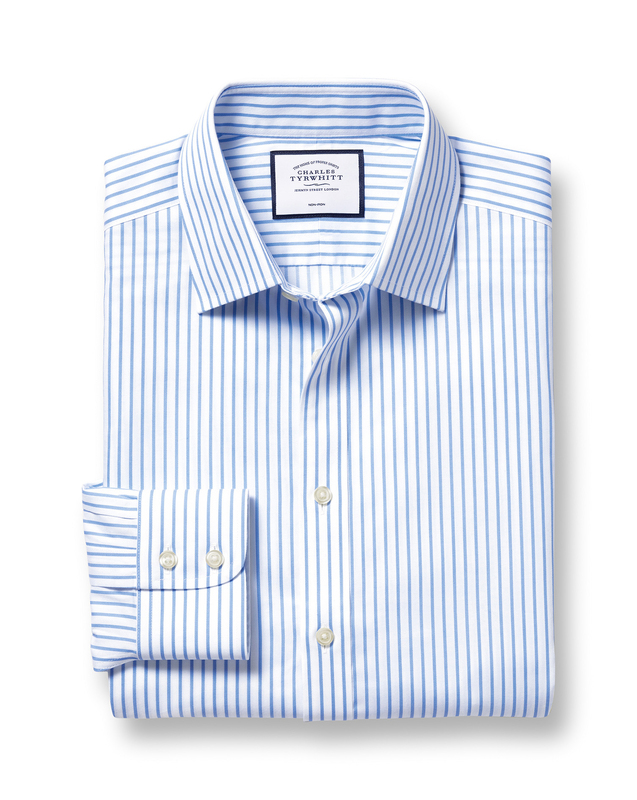 "Made from 100% cotton mid-weight twill with a smooth silky touch and subtle sheen." A very high quality, beautiful shirt. Fit and quality were excellent. A pretty sky blue! Fits nice and perfect for business and business casual attire. Best shirts on the market anywhere. Very reasonable price.